We are super excited to (twice!) be part of the third Triangle Compulation released by the excellent Durham NC label Pox World Empire. The album features a sweet sweet collection of the créme de la Triangle indie rock scene and includes brand new songs by our very own Bull City and Dan Bryk (full tracklist after the bump). This Saturday night (4/25) Bull City will be playing the release party for the Compulation at the Chapel Hill’s Local 506. Also playing will be Auxilliary House, Filthybird, Midtown Dickens, and an appearance by the Pox Family Singers. Plus the show will be the world premiere of their song from the comp! Bull City plays first at 9 PM. Order yourself a copy at http://www.poxworldempire.org/compulation3/ or pick one up at the show! “Next Thursday, 3/19 Bull City is playing one of our favorite venues – the Cave in Chapel Hill. We have the night all to ourselves, so that means we get to stretch out and play 2 sets – we’ll have time to dig deep into our repertoire and play some epic guitar solos. It will be a great show! We go on at 10 PM. Then on Saturday, 3/21 Bull City is playing our debut at the Pinhook, downtown Durham’s great new venue. The show will be in celebration of Johnny Cash’s birthday – that means you’ll get to hear our interpretation of a Johnny Cash song or two. The show starts at 10 PM, and you can find more info here: http://www.facebook.com/event.php?eid=78431125294. Down By Avalon Doin’ it For The Kids… Again! Taking a break from steady work on their second record, Down By Avalon return for the second year in a row to play La Leche League of Chapel Hill‘s Rock The Baby Festival Saturday, May 9th. The outdoor annual family fun festival offers activities for kids and adults of all ages. As Alan puts it, “Talk about a worthy cause!” More details to follow or check La Leche’s festival site for updates. In case you hadn’t caught them live lately, the band recently welcomed Scott DeMattos to the fold. Scott adds some full-time electric guitar, but is a multi-instrumentalist veteran of many great triangle bands. Chris Warren has been featured in the latest episode of What’s All This Then?, a podcast devoted to “innovative, exceptional and bizarre Toronto Artists” with host Ben Mueller-Heaslip of the Parkdale Revolutionary Orchestra. Chris reflects on fifteen years of performing and recording music and his new album “Night For Day” in this in-depth interview. Subscribe to W.A.T.T. on iTunes or stream from their site. 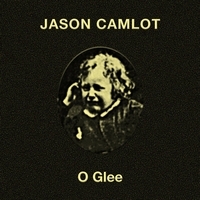 Jason Camlot Reissues Out Now! To put it simply, these are a few of our favourite things. Jason is a Montreal songwriter and poet. 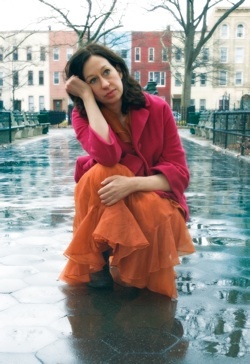 His poetry collections include The Animal Library (2000), Attention All Typewriters (2005) and The Debaucher (2008). 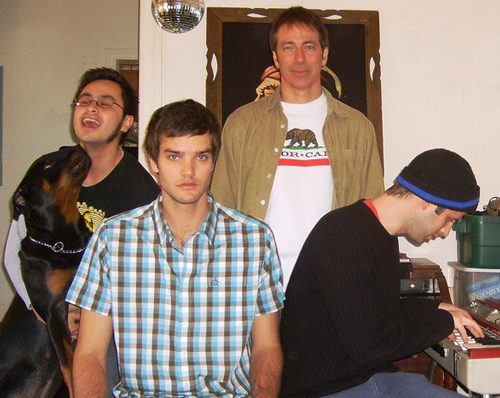 Musically speaking, Camlot played drums in the SF punk outfit The Tuning Knives, led by Robert McNiell (thereafter of The Softs, and now of The Country Teasers). He has collaborated with superb finger-style player and songwriter Kenny Smilovitch for years in the folk noir duo Letterbomb. He also plays bass with the Montreal based Rawk Group Puggy Hammer as well as his 4-Track distortion-pop project JC SPED. 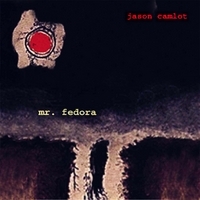 Back in the mid-1990s, while oscillating between San Francisco and Montreal, Jason released three amazing cassette albums in quick succession: O Glee (1994), Mr. Fedora (1995) and the aforementioned duo record Letterbomb (1996). UM dude Dan Bryk was an intern at Canadian folk underground label and mail-order distro Amatish Records when the stark photocopy-on-cream-paper sleeve of O Glee caught his eye in a demo pile. When it didn’t catch the ear of Amatish’s fearless leader Bill Monahan, Bryk took it in the car and listened. Over and over. This was amazing stuff. It took a while (every band didn’t have a myspace page back then) but Bryk finally located a copy of Mr. Fedora. Fortunately, Camlot’s tapes traveled by word of mouth through the Canadian indie-rock underground over the following decade, to the point where they had been traded and burned enough times that we decided it was time to get them above-ground. We found Jason in Montreal at his job teaching Victorian literature at Concordia. Duly impressed by such punk-rock cred, we asked if we could re-release O Glee and Mr. Fedora. He obliged, pulling an amazing batch of full band and Letterbomb tracks out of a shoebox and fitting them in at the end of the original track lists. We tweaked the covers and pushed the project forward. We look forward to releasing two more collections of recorded but unmixed tracks, as well as a proposed album of brand new material. You can buy O Glee and Mr. Fedora direct at CDBaby, iTunes, Amazon or your favourite download store of choice. Or don’t just take our word for it, check out tracks at Jason’s myspace page and his blog “All Types”.